Ecological Risk Assessment incorporates a combination of field and laboratory-derived information. ardea consulting interprets these field and laboratory results to provide a complete picture of any ecological risk to birds and other wildlife. We can also collect additional data to complete the assessment as necessary. Assessments are suitable for submission to the U.S. EPA and other regulatory agencies. ardea consulting researches and writes the entire Ecological Risk Assessment or provides avian or wildlife toxicology input as part of a team. ardea presents a summary of any ecotoxicology data gaps with suggestions on ways to fill the gaps, and then conducts any required field work. Problem: A state agency needed a risk assessment performed for all pesticide application scenarios for the control of invasive pests throughout the state. Solution: An ecological risk assessment was performed to evaluate potential impacts of 187 application scenarios to 51 surrogate species of fish and wildlife. Result: Dr. Sullivan lead a team of biologists, toxicologists and chemists to conduct a complete ecological risk assessment. The risk assessment was used to develop appropriate mitigation to avoid detrimental impacts to fish and wildlife. Report is available on the Technical Reports page of this website. 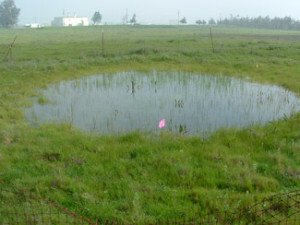 Problem: A client was creating a mitigation wetland on agricultural lands adjacent to a steelhead stream. Solution: An ecological risk assessment was performed to determine whether fish or wildlife that might be attracted to the wetland would be at greater risk after the construction of the wetland. Result: The assessment indicated that the upper foot of soil in the agricultural lands contained legacy pesticides at concentrations sufficient to be harmful to fish or wildlife. ardea recommended removing the upper layer of soil prior to creating wetland. Report is available on the Technical Reports page of this website. Problem: A manufacturing site requires clean-up criteria be based solely on ecological endpoints. Solution: Compare soil and sediment contaminant levels to established toxicity reference values. Result: A site evaluation of bird and mammal species present on the site was performed to determine species at risk to exposure.